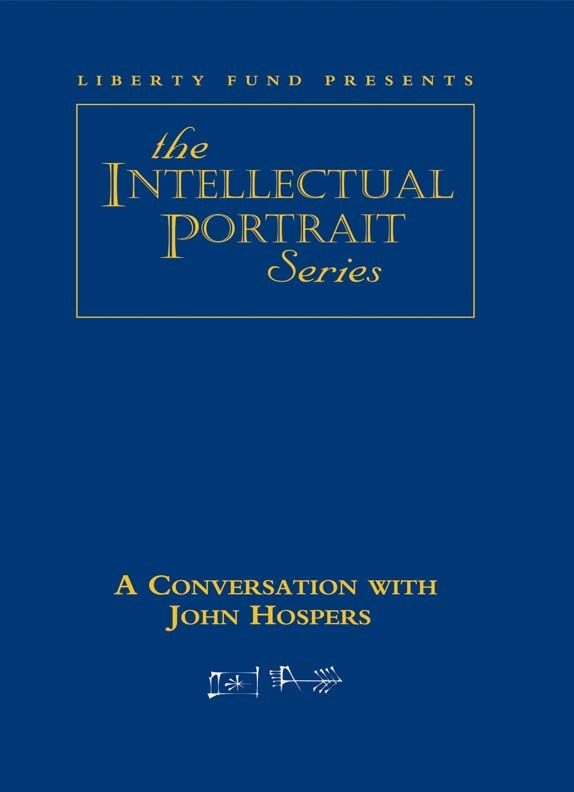 John Hospers is Professor Emeritus in Philosophy at the University of Southern California and author of such important philosophical texts as: Meaning and Truth in the Arts, Human Conduct, and An Introduction to Philosophical Analysis. His numerous philosophical essays are well known for their clear and careful style. As editor of The Personalist, John Hospers opened the pages of that highly respected philosophy journal to a generation of young thinkers interested in basic questions of liberty. He also authored a now classic statement on behalf of liberty in his work Libertarianism. In 1972, John Hospers served as the first Libertarian Party candidate for president. He has served from then until now as a reference point and inspiration for scholars interested in basic questions of liberty. DVD. © 2001. 59 minutes.